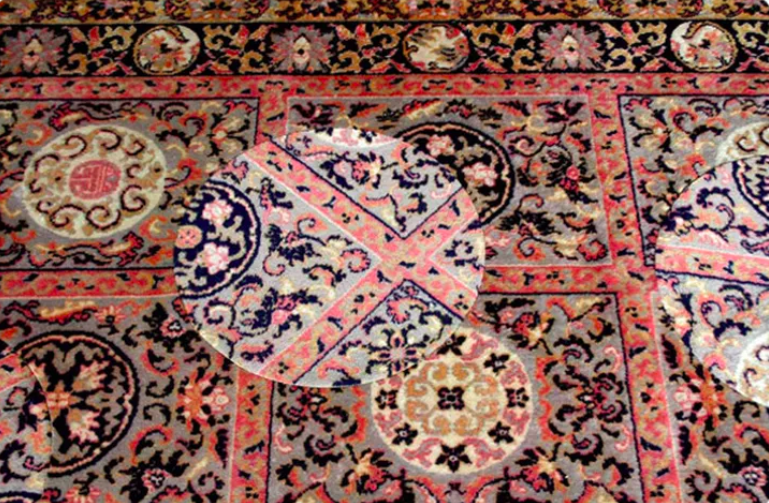 Carpets, mats, rugs … these are just two-dimensional, flat, boring objects that (at most) have a bit of color, texture and maybe some sort of ornate printed pattern. 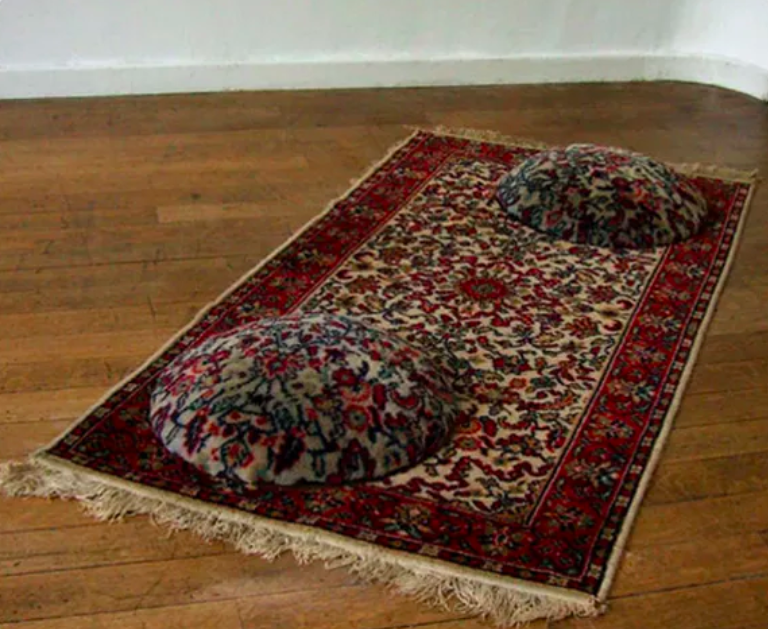 Or at least that is the tradition – before Lise El Sayed comes in to cut, bend, twist and tear convention at whim, creating constructive chaos in her wake. 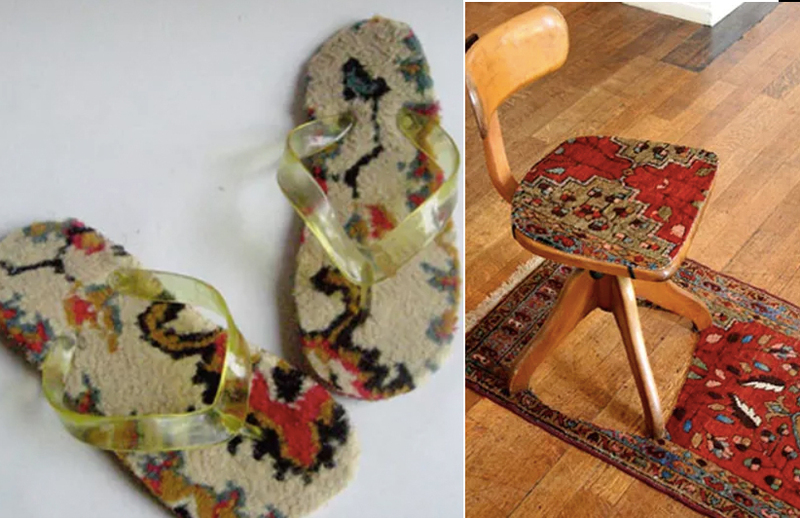 Not so sure you want shag-carpet slippers? 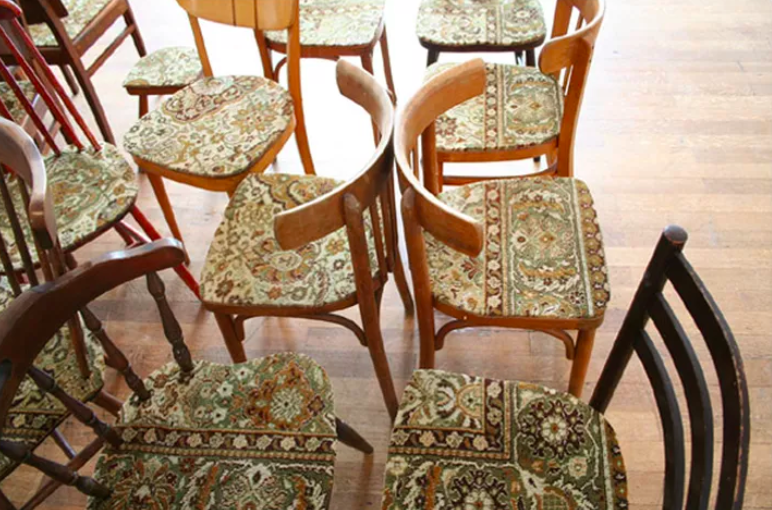 Fair enough – the patterns look a lot more like cushion covers for classic chairs anyway. With each piece cut out in the right sequence, the once floor-bound area rug simple lifts up to a new level and becomes a jigsaw-puzzle version of its former self. Talk about a stylish matching set. If it is possible, her works get even more surreal as they progress. 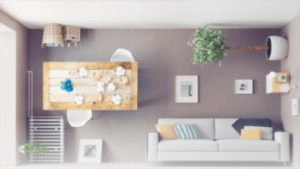 Sure, there is something functional, simple and appealing about a modular set of rectangular mats (which can be assembled into a carpet of essentially any size). 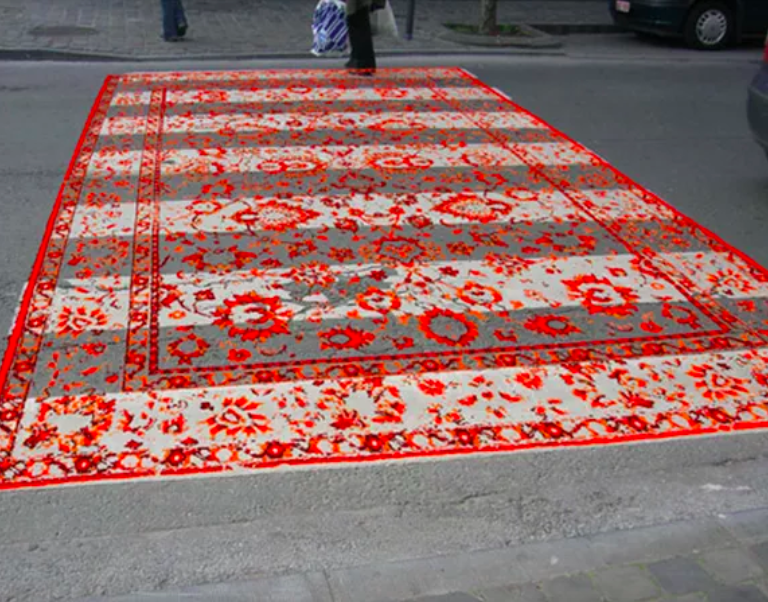 However, a rotating circle of carpet within a larger whole, oriental-patterned mounds and/or floral-motif crosswalks might be a bit beyond the realm of practicality. 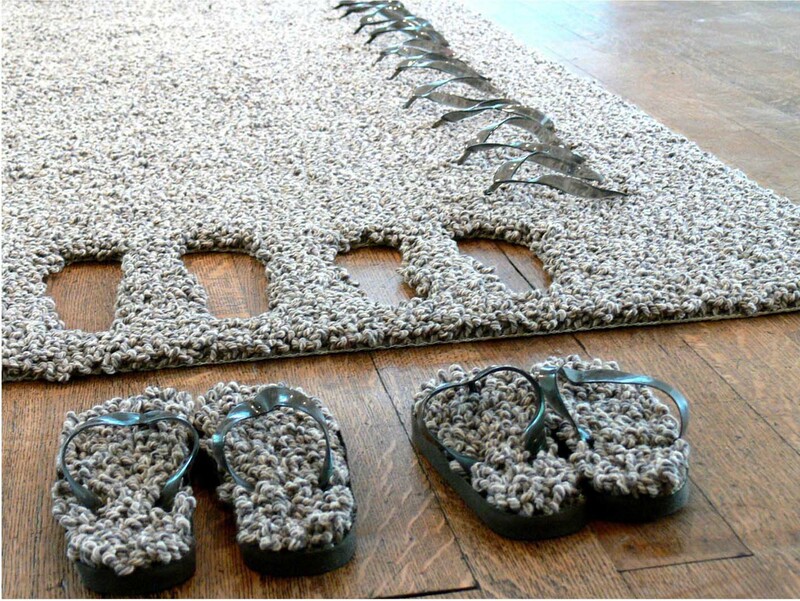 El Sayed has a fascinating way of turning mundane items into objects of fascination.